An analysis of organizational dynamics as viewed through a lens of modern scientific theory cites the benefits of change in business, in a new edition that provides examples of profitable non-linear networks and organizations. Original. 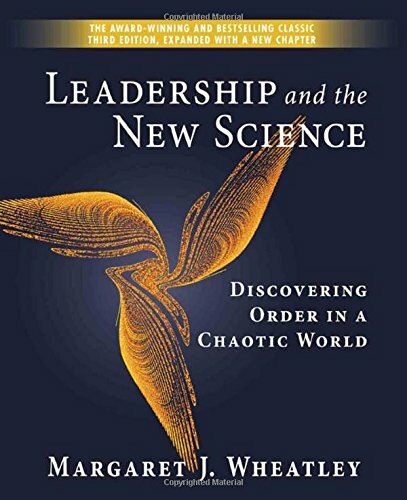 Leadership and the New Science launched a revolution by demonstrating that ideas drawn from quantum physics, chaos theory, and molecular biology could improve organizational performance. Margaret Wheatley called for free-flowing information, individual empowerment, relationship networks, and organizational change that evolves organically -- ideas that have become commonplace. Now Wheatley's updated classic, based on her experiences with these ideas in a diverse number of organizations on five continents, is available in paperback. About: An analysis of organizational dynamics as viewed through a lens of modern scientific theory cites the benefits of change in business, in a new edition that provides examples of profitable non-linear networks and organizations. About: Examines revolutionary discoveries in chaos theory, biology, and quantum physics and shows how to apply these principles to organization and management.